Mosquitoes are those flying pests buzzing all over your place. Their whine is so annoying, but, more than this, they also transmit serious diseases. This is the reason for you have to learn how to get rid of mosquitoes right now. We will guide you and present a lot of natural remedies and the best chemicals to achieve this goal. Let’s remove the menace from our homes! 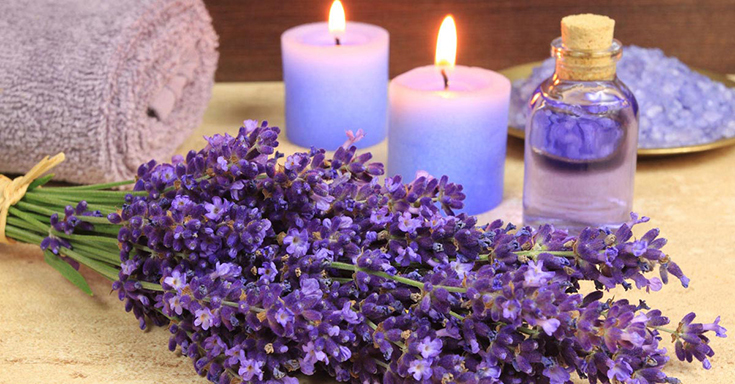 This awesome scent is also helpful when it comes to annoying mosquitoes, can you believe? Because of the strong smell, mosquitoes get confused and become unable to bite. The best way to use this remedy is to apply lavender oil as a room freshener. Another option is to pour some drops into your body cream and apply it on your skin. They will stay at distance, for sure! Recent studies have shown that mint extract and mint essential oil are better than other mosquito deterrents on the market. So, grab some mint leaves and or some essence and use it. Put essence in a vaporizer and you will bathe your room in mint scent. Or you can make a mixture of mint essential oil and water. Pour the mixture into a spray bottle and apply it in and around your home. The oil extracted from citronella grass is very useful against mosquito bites. 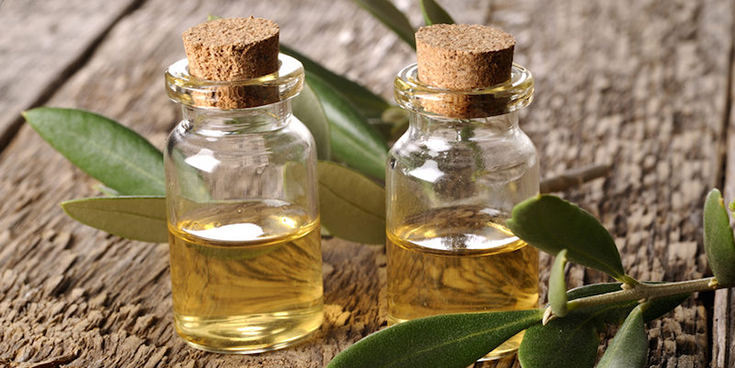 You can use this oil in a candle or, again, make a spray, adding water to the oil. A lot of people use this method and recommend it, as it manages to keep mosquitoes at bay and even kill them. Here is another strong-scented herb that helps you fighting with the pesky flying bugs. 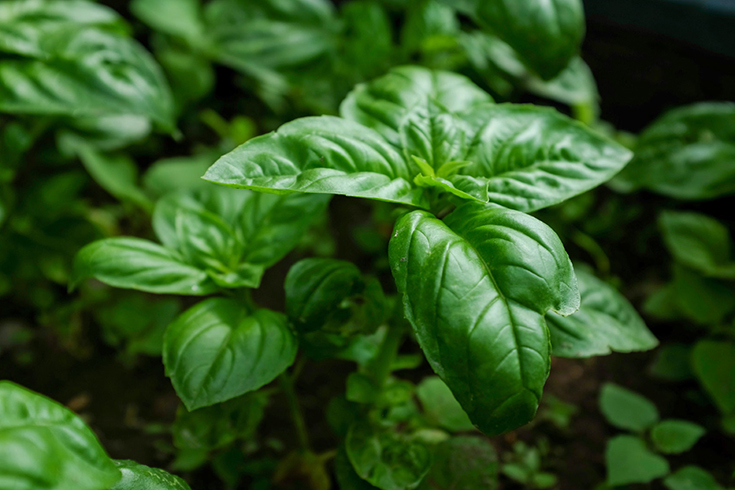 Plant some basil in your garden to prevent them coming or make a spray solution of basil essential oil and water. Another trick is to make some basil buckets that you can hang in your home. Of course, you can just grow the basil in flower pots and keep them in your room or kitchen. Another remedy we strongly recommend is camphor. This is obtained from the extract of a tree and it acts as a very efficient mosquito deterrent. Buy some camphor and light it in the rooms where needed. Keep the doors shut while applying this method. You only need to leave it for 15-20 minutes. Also, you can buy camphor tablets. You have to dissolve some and spray the water on mosquito prone areas. Or you can place the solution in a container and put it where you encounter mosquitoes most. No, this is not only a very good plant for your tea. You can also take advantage of its power of killing mosquito larvae. All you need to do is to keep a shrub of tulsi near your home entry points. This will totally keep mosquitoes at bay. One of the most efficient indoor mosquitoes repellent is neem oil. When you apply it on your skin, it has works as a deterrent and it also has antibacterial and anti-fungal properties. For better results, studies have shown that neem oil is more efficient if you add coconut oil to it. So mix equal parts of these two oils and rub the mixture on your skin. Of course, you can pour the mixture into a spray bottle and squirt it in your room. Tea tree oil scent is very powerful against mosquitoes too. If you rub some oil on your skin, they will not bite you, but will run away. Another method to get rid of mosquitoes is to add some drops of oil to a vaporizer. This will kill the pesky bugs. Hooray! You will enjoy a sleep session without bites and buzzing. I know, the smell isn’t nice at all, but you need to understand that it also smells bad for mosquitoes. So, the pungent odor of this ingredient will make them avoid your place. 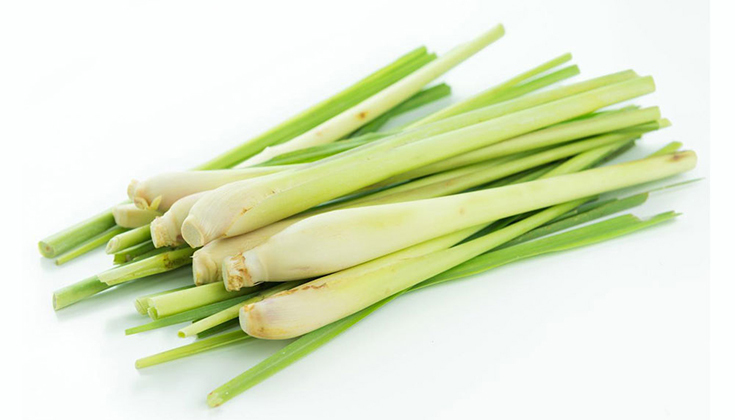 Take some garlic cloves and crush them, then boil them and use the water as a spray. 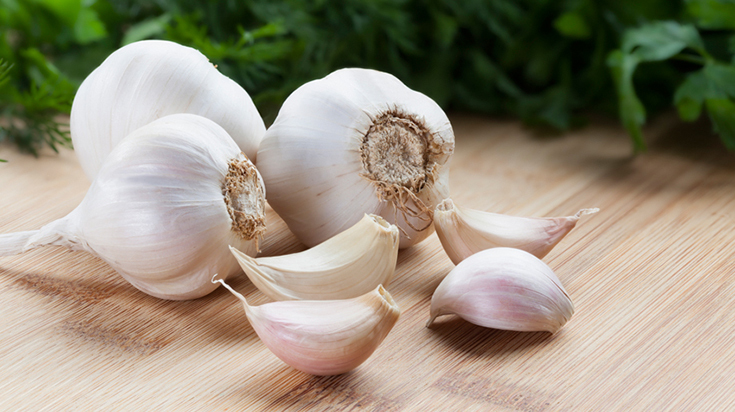 If you don’t have any problems with the smell, you can also eat some garlic or rub cloves on your skin. Mosquitoes won’t take you as a meal, for certain! If you are that kind of person that avoids using chemicals, we have the alternative. There are plenty of natural products on the market that are also very efficient! Give them a try! 10. Repel Lemon Eucalyptus Natural Insect Repellent: Oil of Lemon Eucalyptus has a refreshing scent that succeeds to drive mosquitoes away. Don’t worry, it is DEET free and its effects last up to 6 hours. You can purchase this on Amazon. 12. Puracy Natural DEET-Free Mosquito Repellent: This product prevents insect bites for hours. It has a nice smell and is safe and non-toxic. Moreover, it is gluten free and vegan! Awesome, right? Check this out on Amazon. Ready to try more powerful methods? Well, chemical products are very efficent, but please read carefully the intructions on their label. Please remember that these are toxic substances and have to be applied properly. Doing so, you will protect you and your family and pets. 13. Hot Shot 5416 15-Ounce Flying Insect Killer Aerosol: This is an aerosol product that kills fast not only mosquitoes, but other flying bugs too. It is water based and spray-through cap. The treated surfaces have effect on mosquitoes for up to 4 weeks. Look on Amazon for more details, click on this link. 14. Raid 01660 Flying Insect Killer: This product is suitable for both indoor and outdoor use. Its odor doesn’t linger and it kills quickly mosquitoes and other insects. It has a fresh and clean scent. Try it now, here is the link where you can find it. 15. averPak 2 Pack- Ticks & Mosquitoes Permethrin Clothing & Gear Treatment Trigger Spray: This treatment has some many usabilities. It doesn’t stain clothes or fabric and it lasts 6 weeks or 6 launderings. In addition, you can spray your window screens, but also use it on tents, camping equipment or sleeping bags. You can buy this product on Amazon, click here. Do you want to go for a walk, but you are afraid of mosquito bites? Don’t worry, we’ve got you covered! Here is some advice for you to avoid mosquito bites and keep them at distance. Don’t let those nasty mosquitoes feast on you! Wear a mosquito repellent bracelet. This is completely safe for all ages and it is very comfortable and DEET-free. Each bracelet lasts for about 120 hours. Check this out on Amazon, click here. Wear clothes with very tight weave. People say that this is the best clothing that protects you from bites. So, go for synthetic fibers, instead of wearing cotton or linen. Mouthwash contains eucalyptol, which is efficient for repelling bugs. So, the trick is to rub some mouthwash on your skin before going outside. You will smell fresh and you will also manage to escape with.. a whole skin! Cover your skin. If you can’t stand tight synthetic clothes, then go for loose clothing. Wear long pants and long-sleeved tops, in order to avoid exposing your skin. Dress in white or pastel colours. Studies have shown that dark colours attract mosquitoes. Avoid wearing black or navy blue, if you don’t want mosquitoes to target you as a prey. Apply mosquito repellent on your skin or, even better, use products for both skin and clothes that keep mosquitoes at bay. If you stay away from chemicals, pick some essential oil, like tea tree, lavender or citronella and rub it on your skin to get protection. Unfortunately, you got mosquito bites, so what to do in this case? Well, here are some natural remedies that will diminish the bumps and the itchy sensation . Apply some honey on the bump. Honey is antibacterial and it will soothe the spot, givinfg you a relief. Use apple cider vinegar. Dip a cotton ball in vinegar and then tap the bite with it. This remedy will diminish the pain. Take some aloe vera gel and rub it on the itching bite. It has soothing properties and it will speed up the healing process. Put some ice on the bite. You need to keep the ice on the affected area for about 20 minutes, if you want to feel a relief. Well, here we are at the end of the article. There is a lot of information above and you will have great results if you use it in the proper way. Don’t forget to take safety precautions when using chemicals. Still, we recommend you the natural methods in the first instance. Good luck!